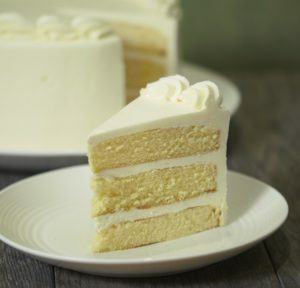 Vanilla sponge cake layered with Italian pastry cream and iced with a light almond flavored buttercream. 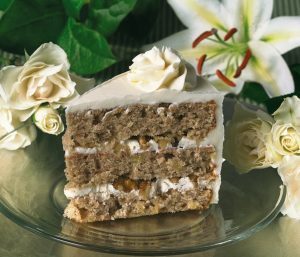 Cakes are decorated with whole almonds. *Please note, only available in Metro Atlanta. See Terms and Conditions for local delivery areas. 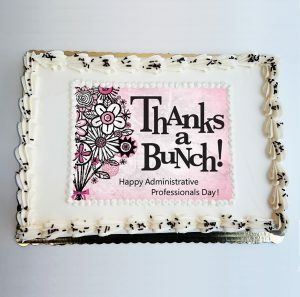 Upload an edible image to your cake. For best results upload an image that has a resolution of at least 800 x 800. 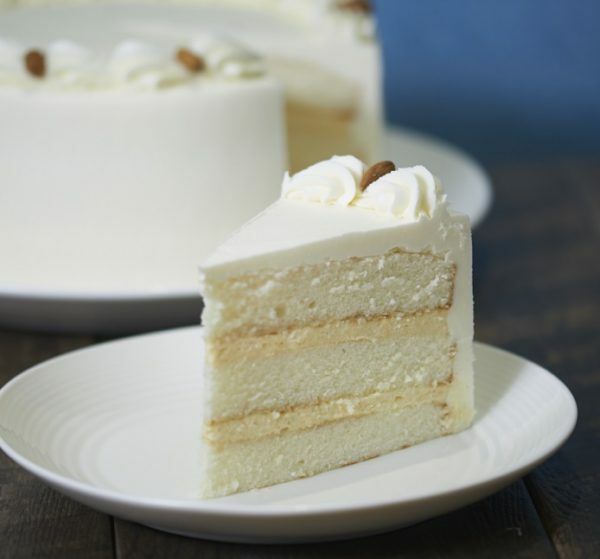 Cakes are available in three sizes: 9″ Round, 1/4 sheetcake and 1/2 sheetcake. Orders must be placed Monday – Friday by noon the day before delivery or pick-up. Deliveries are made by 1 pm Monday – Friday (not including holidays). Please check zip codes for local delivery areas. If zip code is not listed, you must call to inquire about delivery availability and rates. 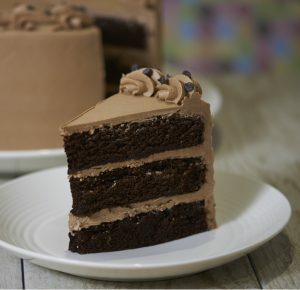 Cake deliveries to a home are not preferable and extra information may be required to make delivery.